After surgery, hospitals typically rely on opioids to control pain. While simple to prescribe, opioids are associated with adverse patient incidents like respiratory depression, confusion, falls and addiction. 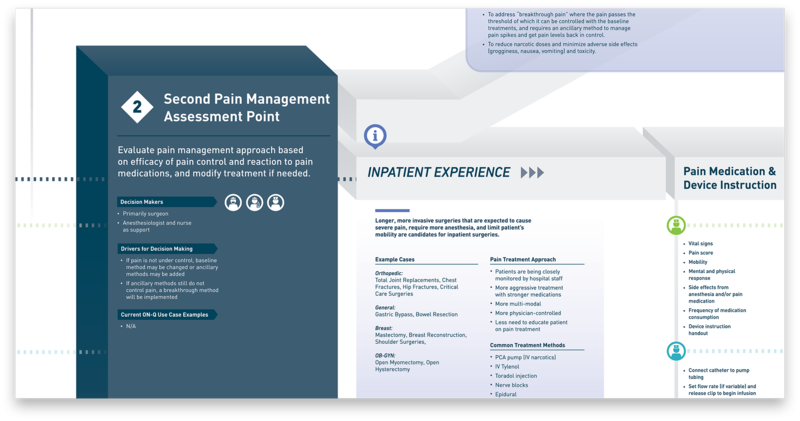 Halyard Health has a solution that can reduce opioids while offering continuous, targeted pain management. Its ON-Q system delivers local anesthetic to the surgical site through specially designed catheters. 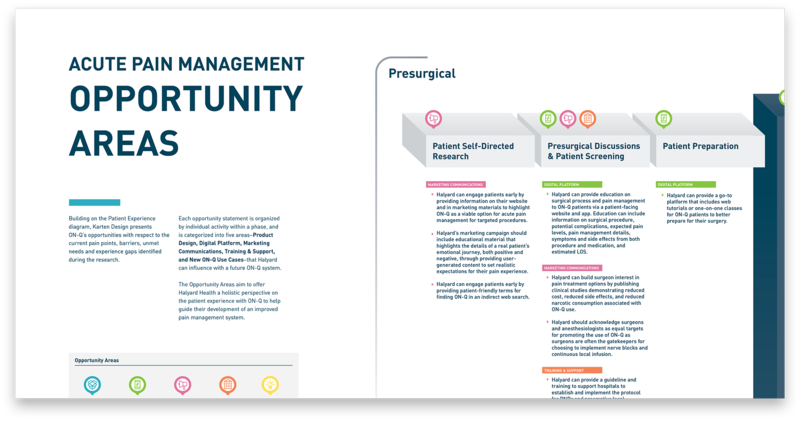 This treatment is a departure from many doctors’ standard procedures and requires a higher upfront investment in time and skill. In designing its next-generation pump, Halyard sought new opportunities to increase adoption of its ON-Q system. 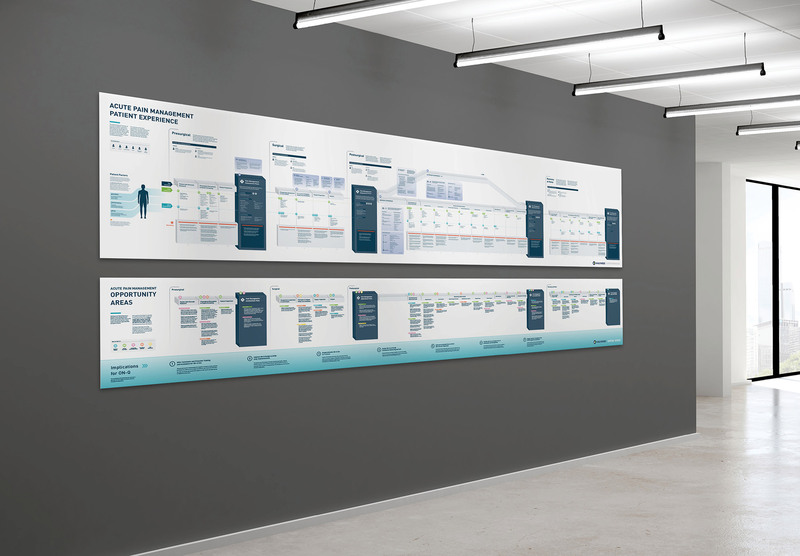 To inspire new solutions that will improve patient satisfaction and outcomes, we built a deep understanding of all the stakeholders in the ecosystem. By understanding every “voice of the ecosystem,” we create products that everyone loves – including hospital workflow and patients’ acute pain journeys, from pre-op meetings to discharge and at-home recovery. We applied our research across Halyard’s holistic ecosystem, uncovering opportunities to improve user satisfaction through product design, as well as digital platforms, marketing communications, and doctor training and support. Our solutions offered new ideas for simplifying workflow, engaging patients and physicians, and creating actionable data. 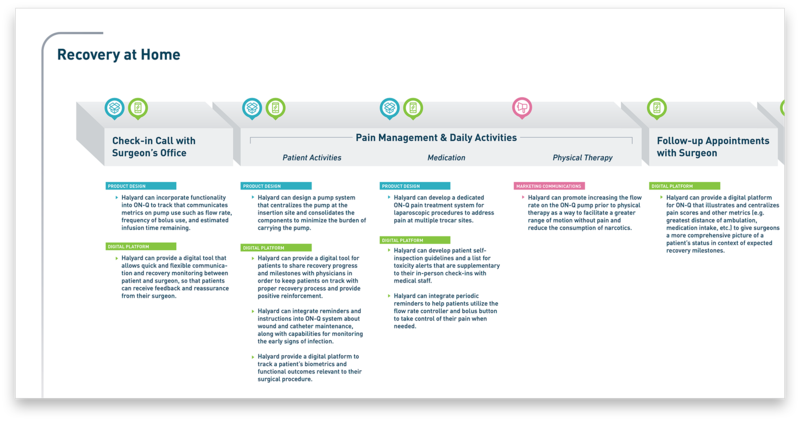 The first solution that we’ve helped to implement is a digital platform that follows patients through post-operative recovery at home. This responsive website creates a feedback loop that can fuel innovation and document the ON-Q system’s efficacy.